As fantasy and delusion clouds British politics like a miasma it’s important to cling onto what we used to call “facts” before they disappear down the Memory Hole. Remember when we used to be told that an independent Scotland would never be allowed into the EU? Remember when we were told that constitutional politics was a distraction? Politicians like Salmond and Sturgeon needed to “get on with the day job” and not be distracted with lofty issues like sovereignty that no-one was really interested in. People were only interested in “bread and butter” issues like jobs and the economy. Britain has been – and will be – consumed by the Brexit process, an obsession with sovereignty based on England’s grievance culture and huge chip-on-its-shoulder despite decades of European opt-outs and special treatment and connivance with a weird sense of exceptionalism. Remember when Britain was put forward as a beacon of stability, the “Mother of All Parliaments”, the source of all that is solid in an ever-changing world? “You don’t move house in a hurricane” I think was the phrase that was coined. Now Britain and the House of Commons is an international laughing stock. Remember when people arguing for self-determination for Scotland were dubbed “separatists”? Scotland voted 62-38% to stay in the EU and has been arguing for a different immigration and asylum policy (across both Labour and SNP governments at Holyrood) for years. The language about being a ‘vassal state’ and the level of vitriol against European countries and institutions and to EU nationals has been incredible. The requirement for England/Britain to be “separate” is in stark contrast to the Yes movements vision of Scotland as a contemporary European country, part of Europe and with a progressive immigration and asylum policy. Remember when Britain was put forward as a place of harmony and internationalism? Scottish nationalism was a toxic influence and British nationalism simply didn’t exist”? 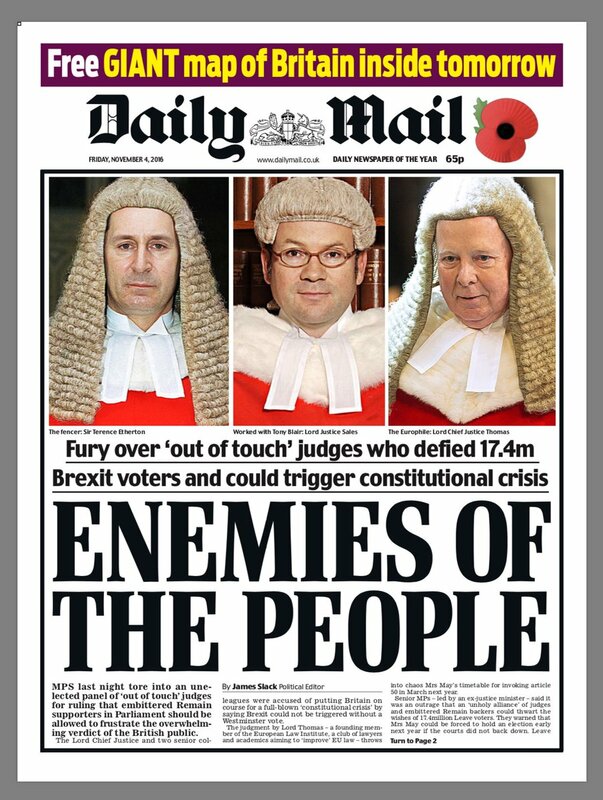 Now we have abuse of journalists doing their jobs, wall to wall tabloid frenzy, a huge rise in racism and xenophobia and the mainstreaming of far right ideology and discourse. The public sphere of Brexit Britain has become a toxic dump curated by the tabloid press and overseen by a wave of propaganda, dark money and corruption. Remember when Britain was described as a “Family of Nations” and a “Partnership of Equals”? As well as Scotland being treated with complete contempt throughout the Brexit negotiations we have now seen Scottish MPs like Ian Blackford branded a “traitor” and Joanna Cherry told to go back to her “own country” outside the Houses of Parliament. On March 29 heavily armed police were stationed outside of Parliament, where the Make Brexit Happen rally – organised by EDL co-founder Tommy Robinson and Ukip leader Gerard Batten – took place. Staff were advised to leave the building for their own safety. The treatment of Northern Ireland mirrors that of Scotland. Remember when we were told that independence would cause “economic uncertainty”? 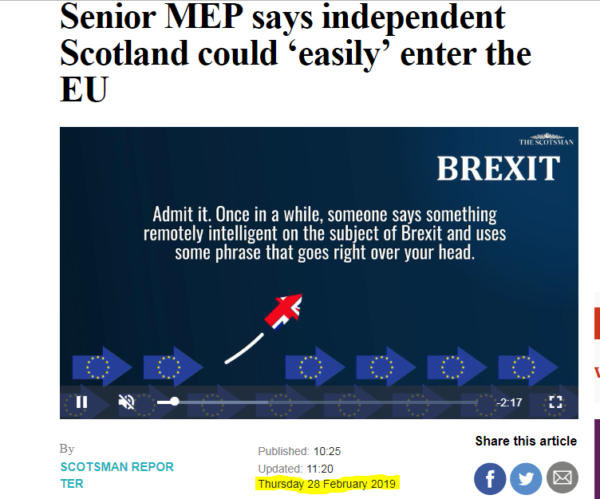 ….SNP would argue in an independence referendum: vote Yes to be fully in EU while maintaining full access to UK market because UK would be in single market…. Is that Strong and Stable or Pooling and Sharing? I’m getting confused. Suggestions for your own additions to the ‘Remember When?’ entries welcome. Remember when lobbyists like Tom Harris and Moray McDonald were the subjects of BBC Panorama programmes rather than guests on Shereen and Good Morning Scotland? Not much wrong with your memory Mr Editor! It’s a pity that more of us don’t have the capacity to understand what we remember. Remember when Scotland was about to run out of North Sea Oil? We only had 10 -15yrs left in 2014….bit different now. That’s a good one Wul. Remember when immigration was a national crisis ? Remember when we were told we couldn’t use the pound? Now we are told we can’t *not* use the pound. Oh, also simultaneously, we will be forced to use the Euro. And do you remember when England would bomb an independent Scotland’s airports? Also, we were told back then when SNP policy was to use the pound, we couldn’t use the pound. Now SNP policy is our own currency we are told we can’t *not* use the pound. Whilst simultaneously being told we will be forced to use the Euro.